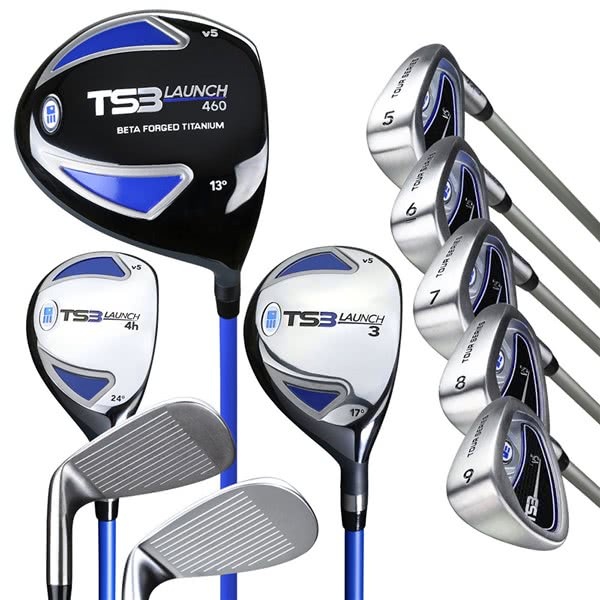 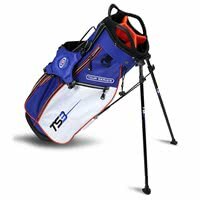 The US Kids TS3 Tour Series 10 Club Set has been engineered to provide any budding golfer the opportunity to use a premium set of golf clubs that will benefit their long term golfing career. As a 10-piece set a child who falls into the 57" - 63” category will benefit from clubs that are 5% lighter than adults clubs and made from premium materials and innovative technologies to provide incredible consistent performance. 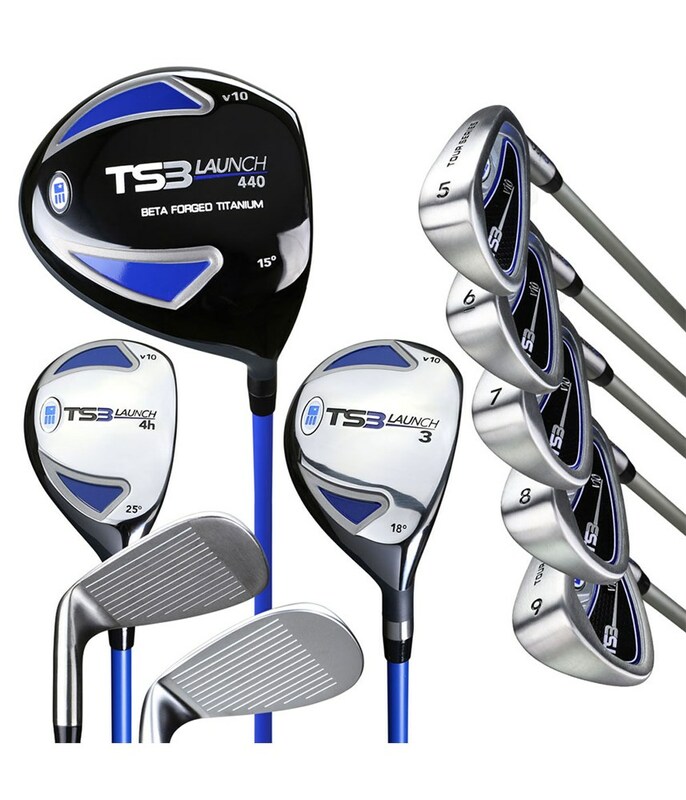 Driver (13°/460cc) - This high lofted driver features a Beta Forged Titanium head with a thin crown and face technology that allows the CG to be lower and deeper in the head for a more forgiving, higher ball flight with incredible ball speeds for better launch, distance and accuracy. 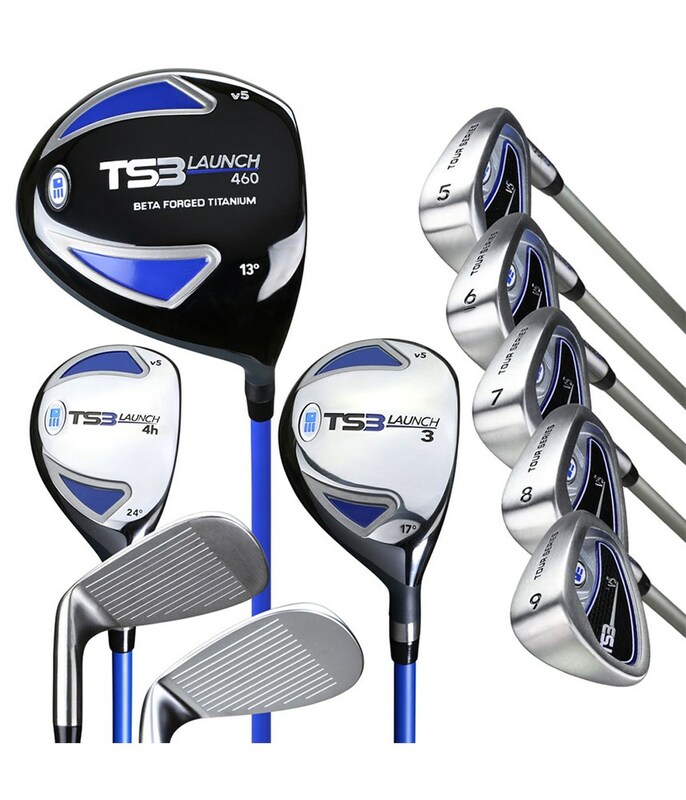 As US Kids base their set around height and strength this TS3 Tour Series set features a lightweight, high quality and performance graphite shaft in the driver, fairway and hybrid and a lightweight steel shaft in the irons that will increase forgiveness and consistency.